Just a heads up to let you all know that the Autumn/Winter 2017 issue of Arrowhead Magazine goes on sale on the 28th March. Subscribers should have theirs in mail any day now! 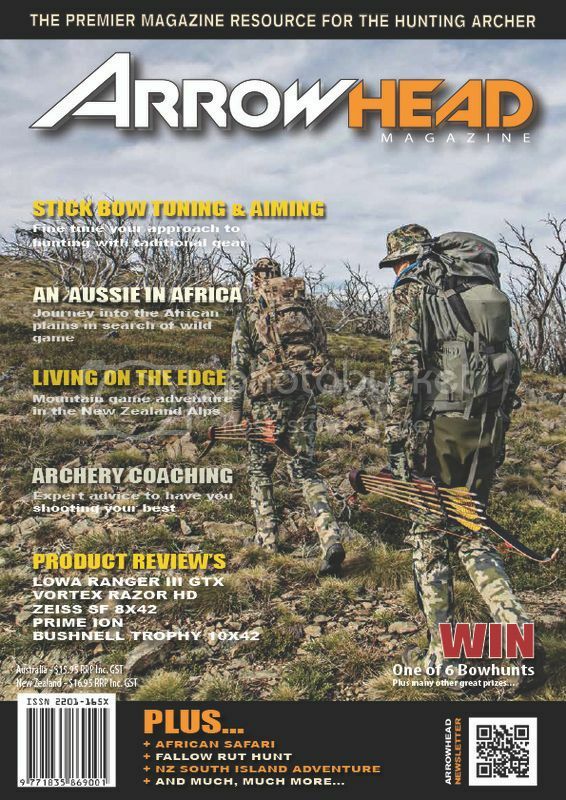 Writers prizes now include 2 separate trips to Africa, as well as a chital hunt with Bowhunterslodge, red deer hunt with Wayne Preece Safaris, Prime bow from Urban Archery and a custom blade from R&N Blades. We still also have our coupon readers prizes up for grabs. Cheers and thanks again for your interest. Looks great, looking forward to it arriving in the mail box. Keep up the good work. Thanks fella's! We really enjoyed putting this one together. Hope you enjoy it! Just picked a copy from the newsagent. My 8 year old son in hanging to get home from school and read it.